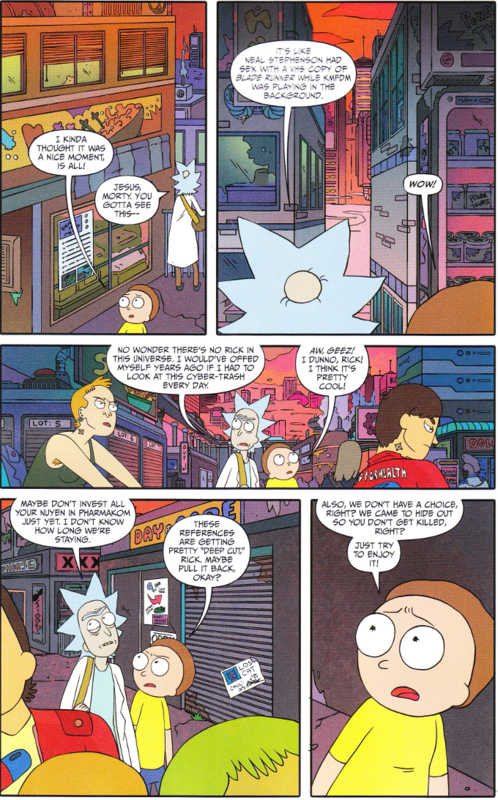 Somewhere out there someone - or something - is killing Ricks and Mortys, all across reality. When one of those Mortys manages to get word to our Rick and Morty, Rick springs into action. Because there's only one place they can hide - the one universe where Rick Sanchez never existed in any form! 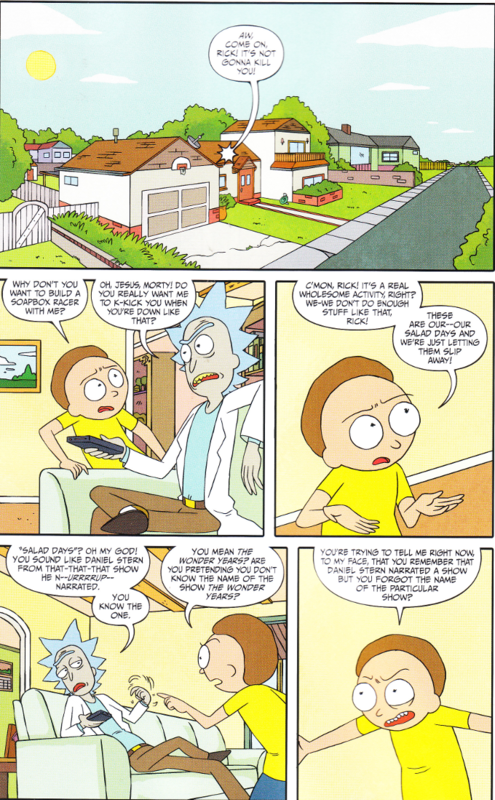 After a disappointing Issue Six, Rick and Morty: The Comic is back in fine form. The script by Zac Gorman perfectly captures the wit and non sequitur humor of the TV series. And it's fun seeing Rick and Morty argue about the merits of Steampunk vs. Cyberpunk and how Rick can fail to remember the name of the show The Wonder Years while still remembering Daniel Stern was the narrator of it. The artwork perfectly captures the feeling of the show. Marc Ellerby and C.J. Cannon both do a good job of emulating the show's animation style. And the action of the story flows quite well from panel to panel.